A soft, fragrant pawpaw can be a delightful same-day treat if you can spot one at your local farmer's market. Pawpaws taste like a cross between a banana and a mango; in fact, they were once called "Indian Banana." Native to the eastern and southern states of North America and also grown commercially in California, this hard-to-find fruit is not to be confused with the tropical papaya. Should you find yourself in possession of one of these large oblong fruits, you can enjoy it as is or as part of a smoothie or tropical fruit salad. Pawpaws are ripe when they are soft to the touch. They will also emit a strong fragrance. Their skin may have lightened from a dark green to a lighter shade, and they may show some black spots or blotches. The spots do not affect flavor. To prepare, peel the thin skin from the flesh, then cut in half and remove the large black seeds. Pawpaws are usually eaten raw out of hand; their flesh is soft and custard-like. 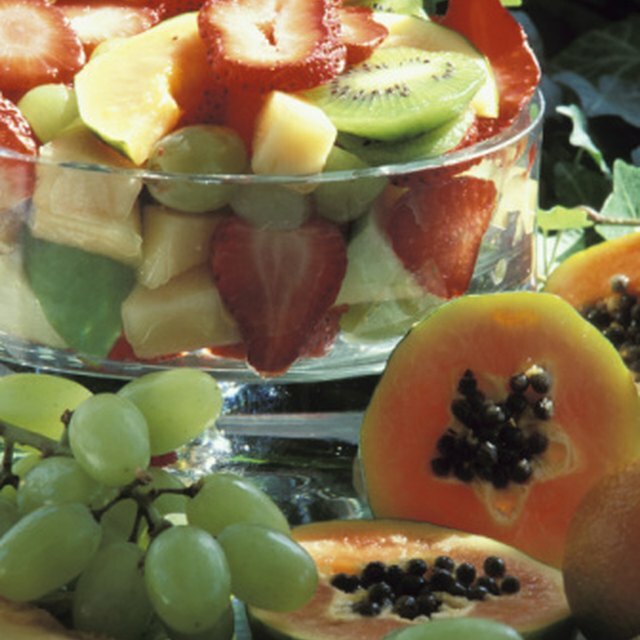 Experiment with adding them to fruit salad; you can also puree the fruit and use it in smoothies and other mixtures. Though the flavor will be slightly different, you can use them as substitutes for bananas or mangos in many recipes. Can You Peel and Refrigerate Bananas for Later Use?